On August 23, U.S. Customs and Border Protection began collection on the “Second Tranche” of tariffs on Chinese products, identified earlier this month by the Office of the United States Trade Representative (USTR). This second round of tariffs, set at 25%, impacts $16 billion worth of Chinese imports across 279 product categories (each identified in the U.S. Harmonized Tariff Schedule), including semiconductors, plastics, chemicals, motorcycles, railway equipment and refrigerators. The Chinese Ministry of Commerce responded with retaliatory tariffs of the same value across 333 U.S. product categories, including coal, copper scrap, diesel fuel, buses and medical equipment. On June 15, the USTR announced that the U.S. will be imposing tariffs on a total of $50 billion worth of Chinese imports, to be implemented in two rounds. The “First Tranche” took effect on July 6 and consisted of tariffs of 25% on $34 billion worth of Chinese imports, across 818 product categories. The USTR imposed these tariffs under the authority of Section 301 of the Trade Act of 1974 (Section 301). Section 301 authorizes the USTR to “impose duties or other import restrictions” on products imported from a country that the USTR has found maintains “an act, policy, or practice” that is “unjustifiable and burdens or restricts U.S. commerce.” Following an investigation last August into China’s acts, policies and practices related to technology transfer, intellectual property, and innovation, the USTR concluded that the tariffs are in fact warranted. The USTR is in the midst of holding public hearings, which began on August 20 and will end on August 27, regarding a proposed “Third Tranche” of additional tariffs on another $200 billion worth of Chinese imports. Following those hearings, the USTR will issue a final determination on the list of products subject to additional tariffs. As with the “First Tranche,” the USTR will shortly be announcing a procedure for interested parties to request that certain imported products be excluded from the tariffs. 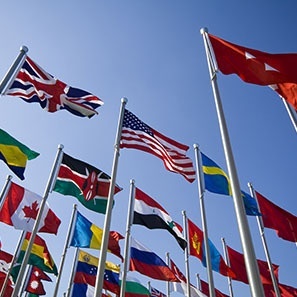 U.S. companies may apply for exclusion from the tariffs for the import of products not produced in the U.S. in sufficient quality or quantities to meet the applicant’s requirements, or for items with particular national security applications. We are working with a number of clients to prepare exclusion request applications, for submission to the Department of Commerce at the appropriate time. The Department of Commerce will evaluate each application over a 90-day period, taking into consideration the particular supply situation of the applicant, the applicant’s import history and industry knowledge at the Department of Commerce, including information contained in applications by applicants within the same industry, or with the same supply needs. We anticipate that the exemption procedures will involve a public notice period, during which any domestic producers will be able to respond with their position on the ability of the applicable product to be produced or sourced domestically. If you would like to discuss the impact of tariffs on your business or have questions regarding the process of applying for tariff exclusion, please contact Allen Tucci (tuccia@whiteandwilliams.com; 215.864.6352) or Tina Zheng (zhengt@whiteandwilliams.com; 215.864.7078), or another member of the International Group.